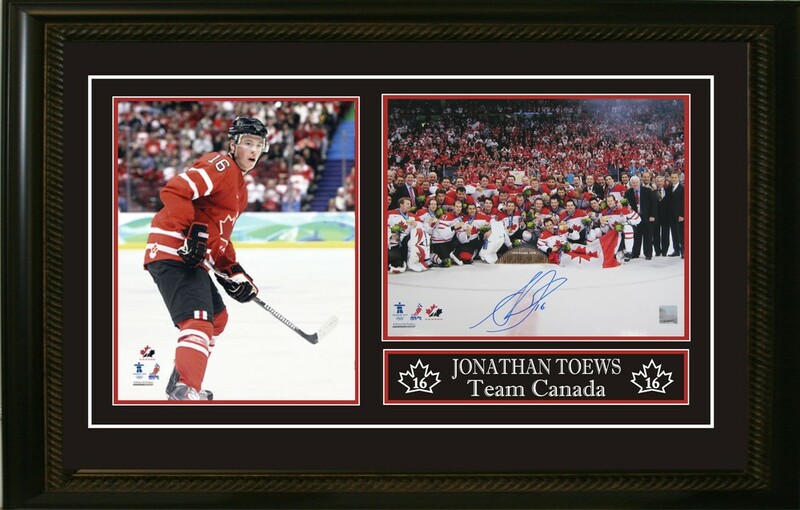 This unique frame features a Jonathan Toews hand-signed 8" x 10" Team Canada photo, a 8" x 10" Jonathan Toews photo and a laser etched description. This item has a black frame and includes a decorative v-groove. Perfect for any home or office and a unique addition to any hockey collection. A Certificate of Authenticity is included. FINISHED SIZE 28" x 19"